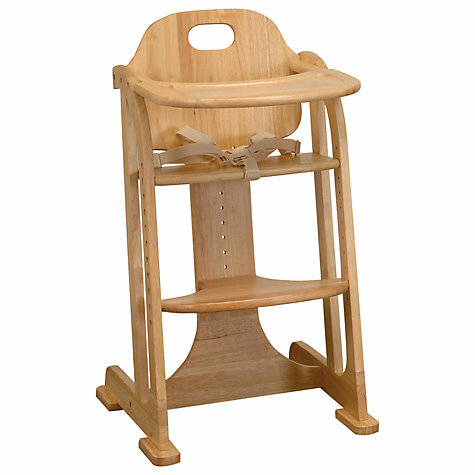 This is a folding version of our popular Halo highchair. It also can be adjusted to fit children from 6 months. 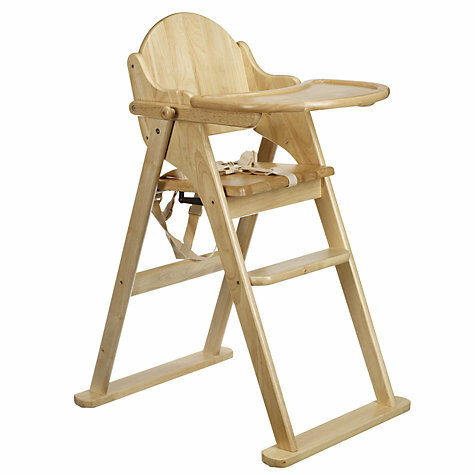 Made from solid rubberwood, this folding highchair has a lacquered satin finish, thus it will look perfect at your dining table. Another bonus of this finish is that can be cleaned with ease. The highchair folds away neatly and compactly when not in use for extra convenience. Most importantly, it features a large sculptured wooden food tray, comfortable foot rest and a 5-point safety harness for added peace of mind.